I’ve never met an empanada I didn’t like. For me, Colombian empanadas are the pinnacle of Colombian food. I’ve been eating this since I was a kid, and before I even knew they were Colombian! In my never-ending attempt to recycle leftovers, I made these with leftovers from my Ropa Vieja recipe. In my research for this recipe, I realized that my Ropa Vieja recipe uses many of the same ingredients you’d use to stew some beef or pork for this recipe. So why not use it? It was a smashing success! 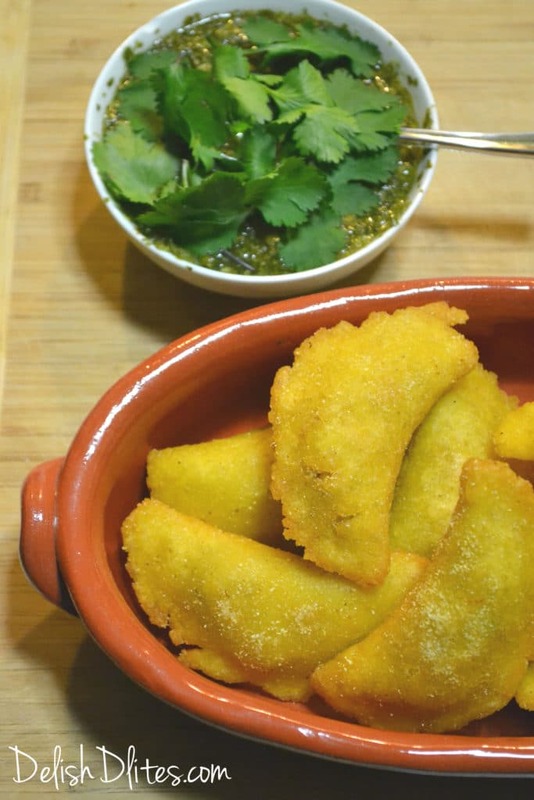 If you’ve never had a Colombian empanadas, they’re unlike anything else. 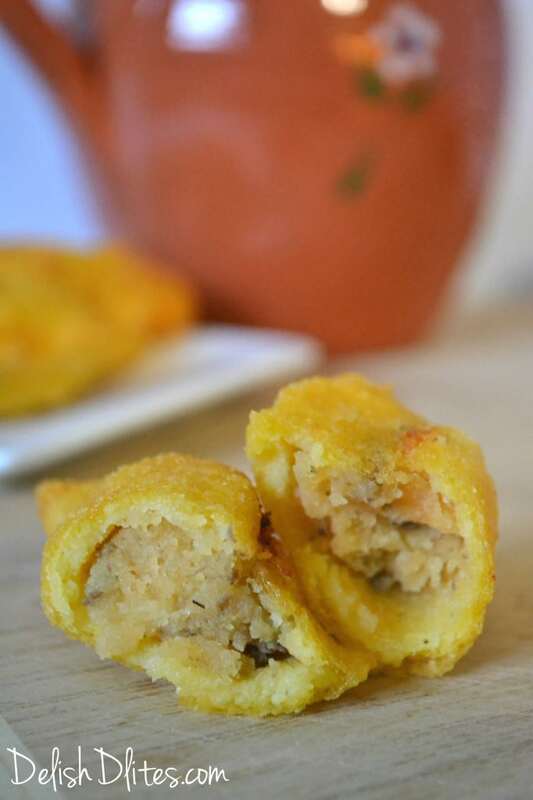 A crunchy cornmeal dough, filled with a creamy, aromatic beef and potato filling, spiced with cumin and Sazon. These empanadas are a perfect appetizer for any get together. 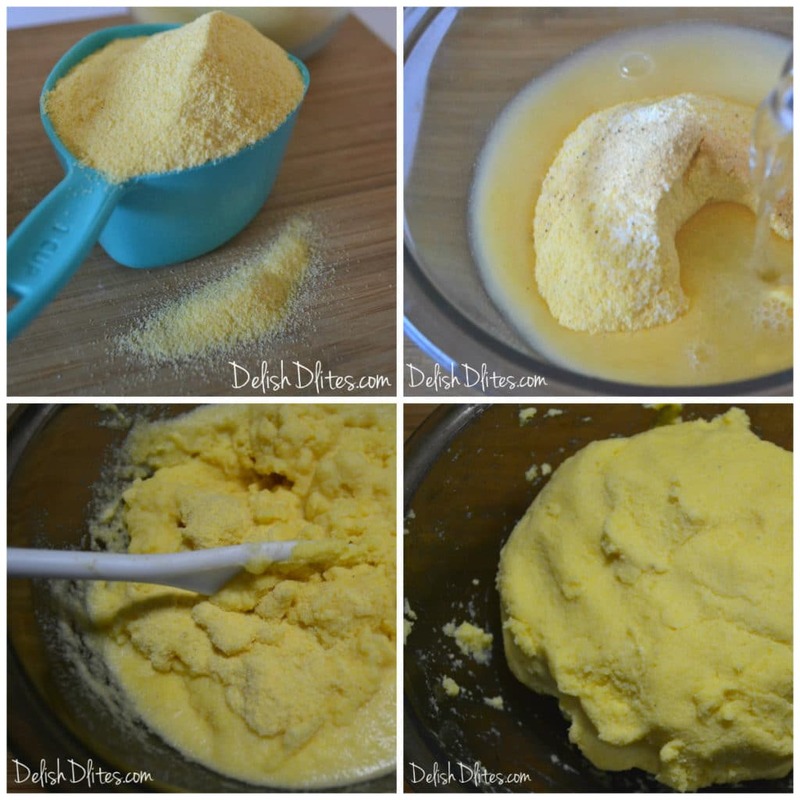 You can even make a big batch and freeze them for later. Keep a couple dozen in the freezer for a quick and delicious snack. For the dough, combine the masarepa, water, salt and Sazon. Start off with 2 cups of water, and add more if needed. Stir together, then knead the dough until it’s nice and smooth and slightly moist. 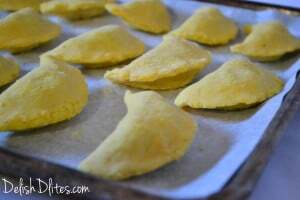 If it’s too dry, it will crack when you seal the empanadas. Place in a bowl and cover with plastic wrap. 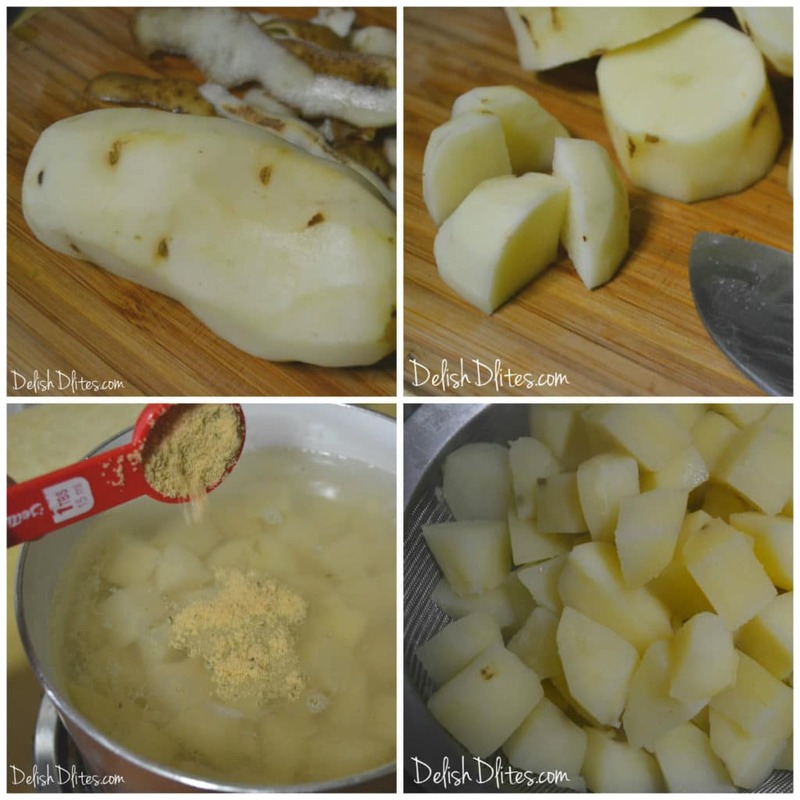 For the filling, peel the potatoes, and place them into a pot with 3 cups of water, and 1 chicken bouillon. Boil for 20 minutes, or until fork tender. Drain them and place the potatoes into a bowl. Season with salt and sazon, then mash until most of the chunks are gone. Add the cumin and ropa vieja. Fold to combine. Take a scoop of masa and make a ball about the size of a golf ball. 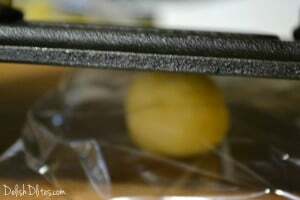 Place the dough ball between 2 sheets of plastic wrap. Press the dough ball down, until it’s about 1/4″ thick, and 3″ in diameter. 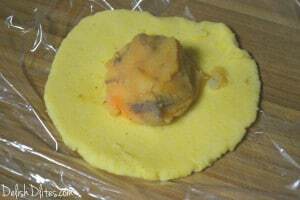 Place a few teaspoons of filling in the center, then cradle the disc in your hand and pinch the empanada closed. Make sure to fully seal the edges so it doesn’t open while cooking. If you get cracks in your dough, that’s normal, just press the dough to seal. 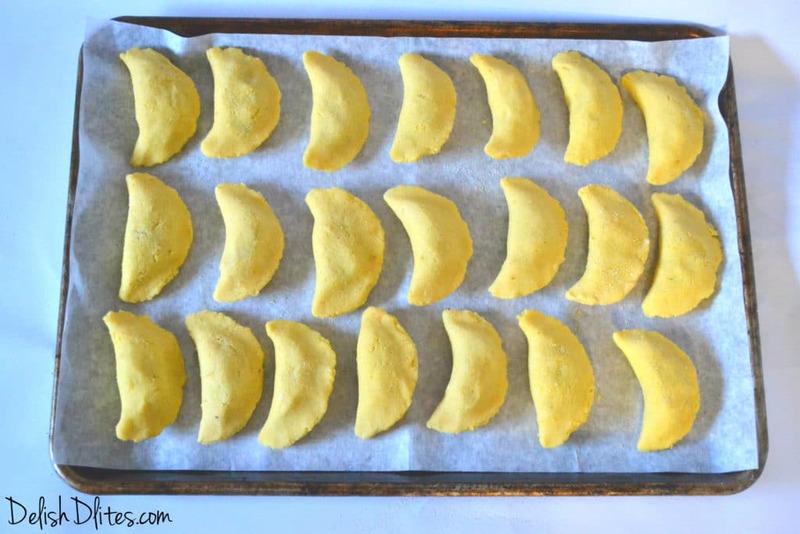 At this point, you can freeze the empanadas for frying later. Just freeze them on a sheet of parchment or wax paper, then store in a freezer bag. To serve these up, fry them in vegetable oil heated to 375 degrees F for 6-8 minutes, or until golden brown. Drain on a paper towel, and serve with my recipe (below) for Aji Verde (spicy green hot sauce). Process the cilantro, jalapeno and scallions in a food processor. Add vinegar to get the consistency you’d like. Season with salt and pepper to taste. Store for up to 1 week in the fridge. 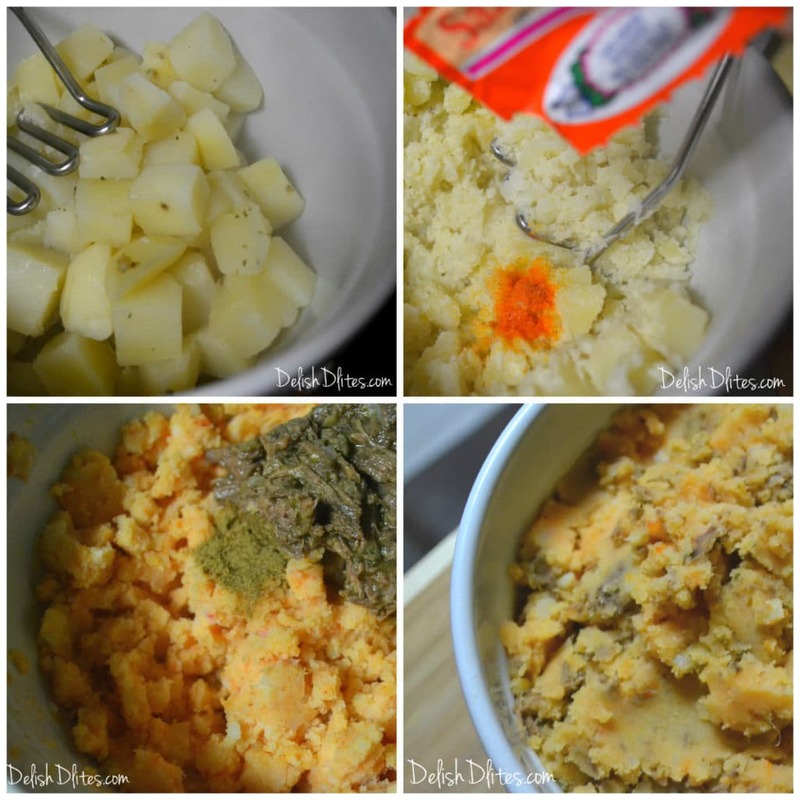 Combine the masarepa, water, salt and Sazon. Start off with 2 cups of water, and add more if needed. Stir together, then knead the dough until it’s nice and smooth and slightly moist. 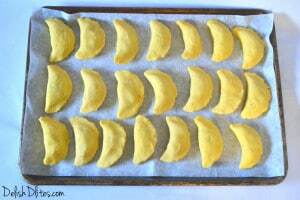 If it’s too dry, it will crack when you seal the empanadas. Peel the potatoes, and place them into a pot with 3 cups of water, and 1 chicken bouillon. Boil for 20 minutes, or until fork tender. Drain them and place the potatoes into a bowl. Season the potatoes with salt and sazon, then mash until most of the chunks are gone. Add the cumin and ropa vieja. Take a scoop of masa and make a ball about the size of a golf ball. 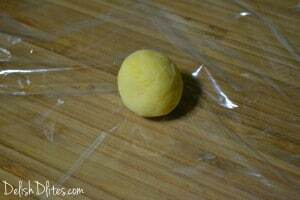 Place the dough ball between 2 sheets of plastic wrap. Press the dough ball down, until it’s about 1/4" thick, and 3" in diameter. 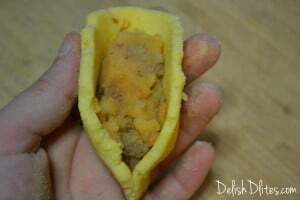 Place a few teaspoons of filling in the center, then cradle the disc in your hand and pinch the empanada closed. Make sure to fully seal the edges so it doesn’t open while cooking. 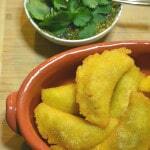 Fry the empanadas in vegetable oil heated to 375 degrees F for 6-8 minutes, or until golden brown. Drain on a paper towel, and serve with Aji Verde. Process the cilantro, jalapeno and scallions in a food processor. Add vinegar to get the consistency you’d like. Store for up to 1 week in the fridge.